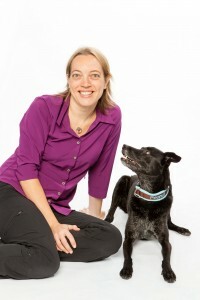 Grisha Stewart is an author, international speaker, and dog trainer based in Oregon, USA, who specializes in dog reactivity. 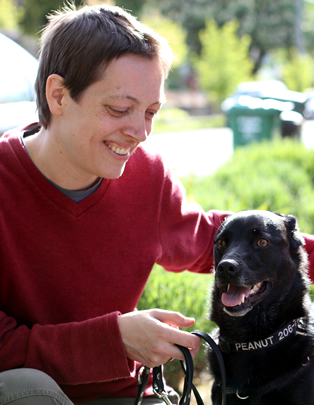 She founded Empowered Animals and the online Animal Building Blocks Academy, as well as Ahimsa Dog Training in Seattle, which she sold to a staff member in 2015. Grisha's Ahimsa team earned many awards, including Best of Seattle and Best of Western Washington. Interested in hosting a BAT seminar? See our hosting page for a list of topics some quotes from seminar hosts. 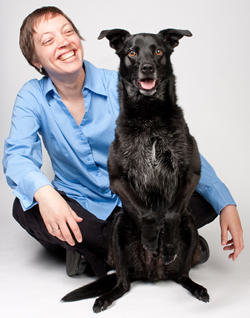 If you don’t host seminars, but want to attend a dog behavior seminar near you, please send a link to the hosting page to a local training club. Grisha has also recently gotten interested in singing and writing music, including her song about BAT, posted below (2018). Click here for more information about Grisha's music. Media and PHOTOS: Please click on the images on this page for high-resolution photographs. Please also visit Grisha's media press kit. Grisha Stewart 2018. Photo by Riley Walters. BAT seminar attendees at Tudo de Cão in Brazil 2018. BAT woman in Wales 2017. Photo by Natalie Osbourne. Grisha with a pot-bellied pig at a seminar 2016. Grisha teaching BAT at Pet B Havior in Portugal 2018. Photo by Mafalda Costa - Haruto Pet Photgraphy. Grisha speaking at Pet B Havior in Portugal 2018. Photo by Mafalda Costa - Haruto Pet Photgraphy.